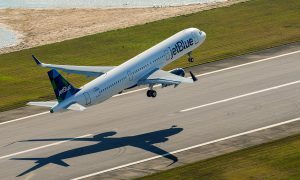 The Airbus 320 aircraft, tail N779JB, is named “Bluericua,” blending JetBlue’s brand with the affectionate name for people of Puerto Rican descent. “This custom-designed livery is inspired by JetBlue’s admiration for Puerto Rico’s dynamic culture, stunning beauty and the passionate spirit of its community,” the airline said. Flying kites is a beloved pastime for the Puerto Rican community, and Bluericua celebrates this tradition that brings together family and friends. Bluericua’s kites start out at the Puerto Rican skyline and fly in unison toward the aircraft’s tail fin, evoking feelings of being carefree and happy. 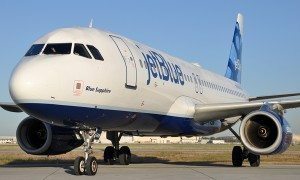 “JetBlue has been a great partner and ally of the Puerto Rican community for over 16 years. 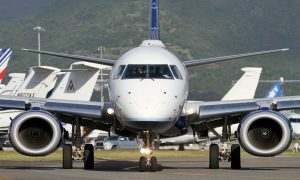 The airline’s commitment to the Island has been showcased during the past year, with the implementation of a series of programs to support every step of our recovery. The partnership between the Government of Puerto Rico and JetBlue is stronger today than it has ever been. Today, we thank JetBlue for this new livery, which celebrates Puerto Rican culture. ‘Bluericua’ will generate great attention for our destination in all markets that JetBlue serves and will serve as a reminder of the diversity and authenticity of our offering,” said Carla Campos, executive director of the Puerto Rico Tourism Company.